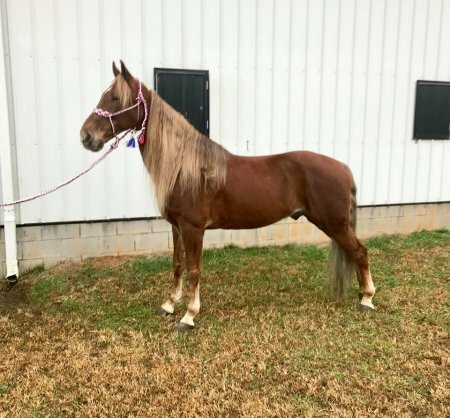 Destiny is for sale on the website "thehorsebay" you can visit this site for more information including videos, papers, coggins, vet inspection, price information (may change at anytime) anc much more. Genin’ My Destiny aka Gen is a a stunning 15.3hh, 8 year old, Tennessee Walking Gelding. Gen has a mane that is 38” long and very thick! But there is more to this fellow than what meets the eye! 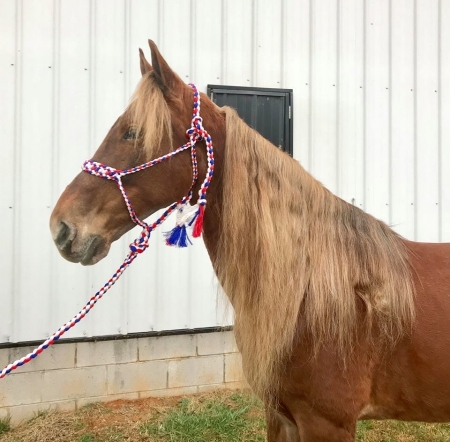 He is very smooth gaited, has that classic Tennessee head bob that everyone loves and will speed up and 4-beat as well, all of which are smooth! 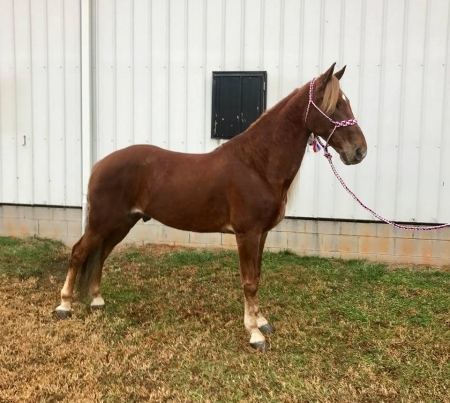 He will pickup and lope when asked, has a very good reverse and neck reins. Gen has been trail ridden and been on some camping trips. He has been shown in country pleasure classes and versatility classes. Gen is a bold, confident type of horse that flows along in gait very easily. Give me a call if you have any questions and we can discuss Gen to see if he is in your Destiny.